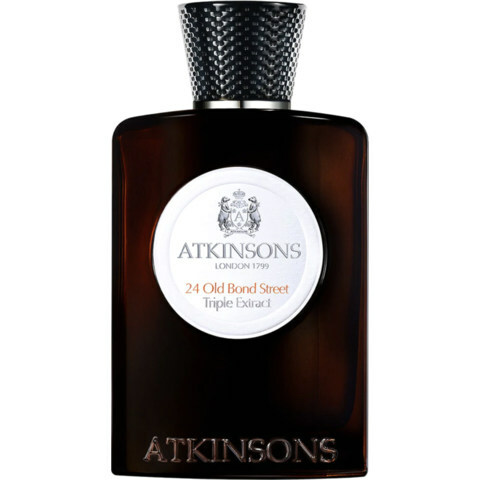 The Emblematic Collection - 24 Old Bond Street Triple Extract is a popular perfume by Atkinsons for men and was released in 2014. The scent is spicy-floral. It is being marketed by Perfume Holding. A very beautiful fragrance. I was in Karlsruhe and also looking for something else... It was a business trip and I didn't have much time downtown. 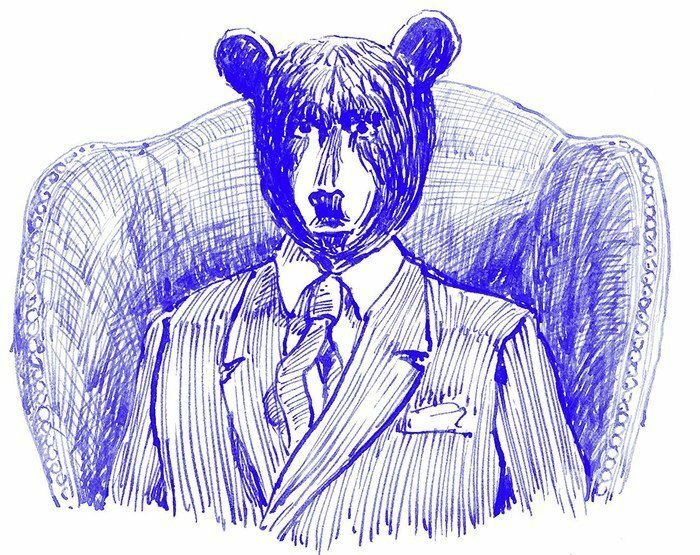 Send with suit, shirt and everything necessary on the way. I found Creed boring...Acqua di Parma wasn't right for my nose and Montale was so intense and partly crazy that I almost wanted to leave. Then the nice saleswoman came around the corner with the Atkinsons 24th Old Bond Street (Triple Extract). On the test strip I found him first only nice and thought at first of a soap, let him nevertheless on my arm grant. Pooh - take a breath and see how the water behaves. Ohhhhh nice - what came there a scent of rose, still some soap - but this soap note flattens quickly. A great heavy green tea, spices and everything looks very fresh and clear. Maybe it reminds of menthol or mint - but this was not recognizable. A clear scent I hadn't smelled yet. Definitely male and different. I like to wear it again and again today but then with the appropriate wardrobe. This fragrance does not go well with sneakers and T-shirts. The fragrance has corners, edges and only works with a wearer who knows what he wants. As a newcomer here, I'm going to try my hand at a series of comments. This is the second part. I'm a real fan of the scent of roses (in my youth my mother had Paris from YSL. I found "the hammer") But the rose isn't exactly the one you first come across as part of a men's fragrance. Nevertheless, I think the rose is contained in more and more men's fragrances. It was in 1799 that the Britishman James Atkinson discovered the business with fragrances for himself. The spicy, warm Eau de Cologne, which he developed in 1800, became the favourite fragrance of King George IV, who appointed Atkinson the official perfumer of the British royal family. After very successful years, the house had to go through much more difficult times until today. These included closures, several sales in the early 2000s and most recently the takeover by the Italian cosmetics company Perfume Holding (from Procter & Gamble) in 2008. Since the relaunch of the brand in September 2013, however, things have been going "steeply uphill" again. The perfumers Christine Nagel and Violaine Collas both worked for the cosmetics company Mane in the 2010s. The Swiss Christine Nagel (*1959) has been working for Hermés since 2013 and became its head perfumer in 2015. She celebrated her premiere with the "loud" rhubarb Écarlate and furthermore she created my super summer scent Citron Noir. The French Violaine Collas (*1976) (still with Mane) studied (like Francis Kurkdjian) at ISIPCA. In an interview she named the flacon design of the Atkinsons Collection as her favourite. I bought 24 Old Bond Street Triple Extract (*2014) on recommendation in the "perfumery of my trust". The fragrance is named after the label's ancient headquarters and is said to be "a bow" to the fragrance of 1800. The Old Bond Street is the southern part of the Bond Street in London's noble district Mayfair and belongs to one of the most exclusive shopping streets at all. With juniper, rose, black tea and whiskey, the slogan "Very British" is somewhat worked on with the "fence post", but one after the other. For me the rose in 24 Old Bond Street Triple Extract goes on a beautifully composed, special journey from spicy fresh to balsamic warm. All aspects are preserved on this journey, because all fragrance components interlock very beautifully. The Sillage is not so strong, which is quite good for the use in the job - at least for me. I'm glad I have the scent and I use it a lot. Over 80 previous reviews with an 8, and I'm sticking to that. P.S. Thanks for the great answers and ratings for my first comment. That spurs. Write the first Review for The Emblematic Collection - 24 Old Bond Street Triple Extract!